A small oval of a home in winter is surrounded by snow and gold, plus a large lush poinsettia - charming. 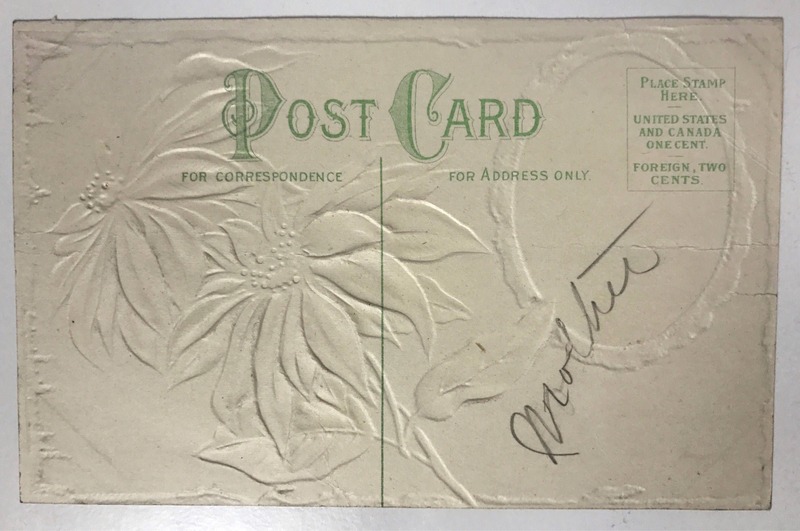 This antique postcard is unused, but it has the word 'Mother' on the back, and is nicely embossed. No publisher name or other identifying mark. 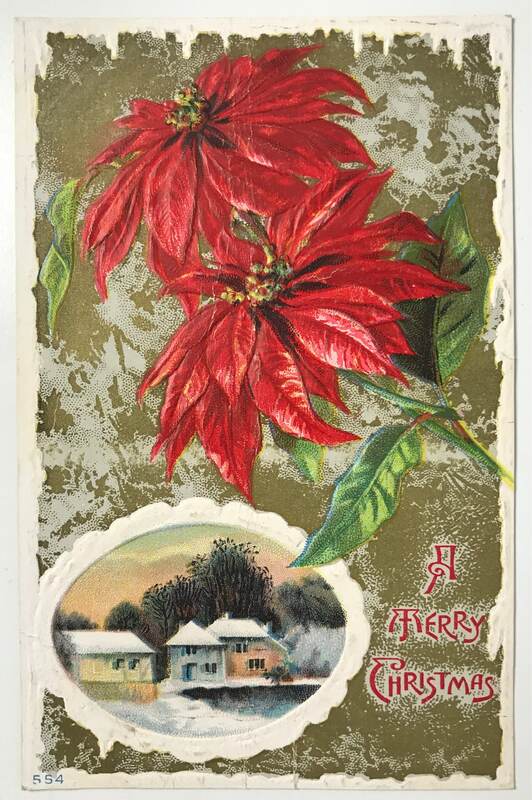 Text reads: "A Merry Christmas". This one would be great for a collection or for scrap booking or decoupage. CONDITION: Good, unused, but there is creasing right up the center, vertically.